CHT-RB and CHT-RP right-angle drives are designed for industrial applications where rotary power must be transferred between two shafts at right-angles to each other. CHT-RB and CHT-RP are available in many different sizes with 2 or 3 outputs and 1/1 - 1/2 - 1/3 transmission ratios. 1) Use table 2 to define the Service Factor for your application. 2) Calculate the Rated Power (Pn); Pn = Pe (Horsepower) x FS. 6) If you require a 1/2 or 1/3 ratio, do not use a speed multiplier with an input more than 750 R.P.M.and 500 R.P.M. in ratio 1/2 and 1/3, respectively. abrasive damage which might shorten the working life of the unit . 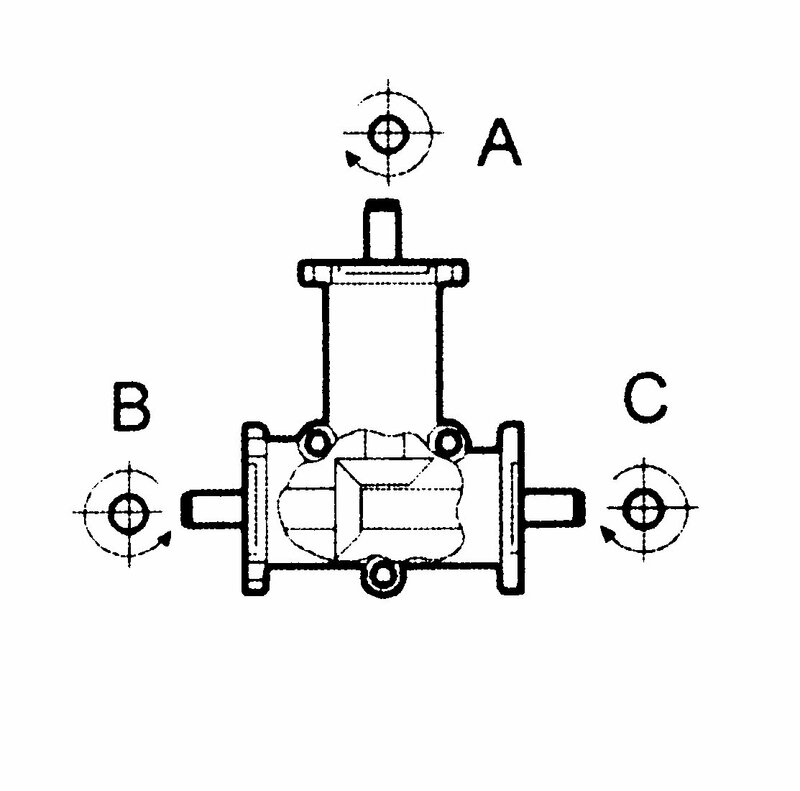 You can search by the gearbox dimensions, then you will be provided with all possible options. Mark gearbox type, transmision ratio and enter input shaft dimension, or part of its dimensions.